Our Adventure Tours are the perfect option for keeping the kids amused while parents are involved in a conference or other type of daytime function. Our tours are designed for children aged 4 years and older to enjoy a full day of fun and education. 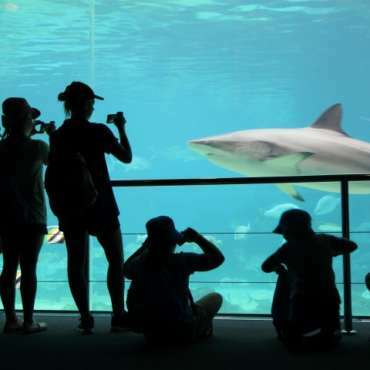 Some of our popular tour destinations include the Adelaide Zoo, Melbourne Aquarium, Scienceworks, Sydney Marine Park, Sea World, Dream World, Movie World and Wet and Wild on the Gold Coast. KidzKlub organise the entire tour, providing a fully trained and qualified team, equipment, food, transport and the day’s itinerary. Pint size participant share the experience of riding on horseback, seeing working dogs in action and collecting eggs from chickens. The kids help to make a campfire and cook damper, as well as barbeque up some sausages and boil some tea in the billy. There’s also an opportunity to swing from a rope swing and drop off into a billabong to cool down. Our tour group hike down to the base of the waterfall, through the forest, to spot kookaburras, lizards and goannas and maybe even a koala. We use the ochre from the rocks to paint ourselves, as our ancestors did, before playing in the rockpools. There are countless terrific destinations across the country and tailored tours can be arranged.